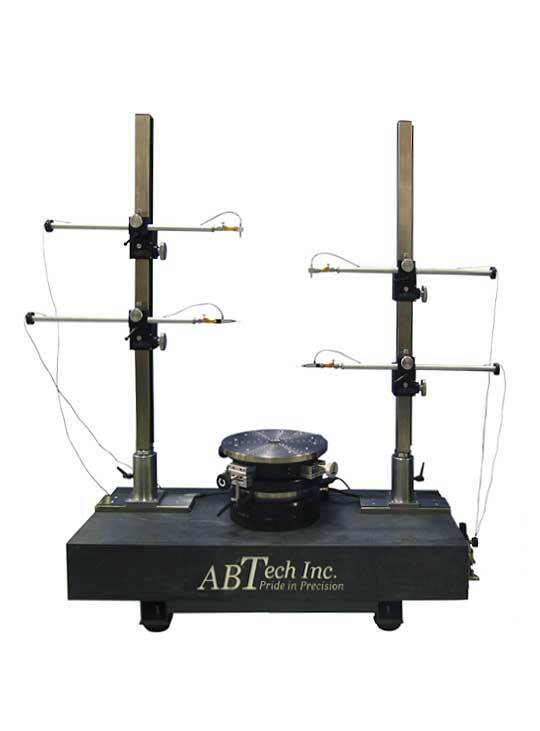 Engine Assembly Systems | Stack Projection | ABTech inc.
Our Engine Assembly Systems can help turbine engine manufacturers and maintenance organizations increase productivity by making the build process more predictable. EAS hardware platforms are designed to assist in ensuring that engine components meet the tightest tolerances before they are assembled. And when equipped with stack projection software, manufacturers and MROs can improve avoid wasting time and money by relying on trial and error. Integrating turbine engine stack projection capabilities within the production and overhaul process results in more predictable scheduling and planning. EAS can also help to better utilize component inventory. For example: there may be a set of parts that when assembled together fall out of tolerance. Stack projection allows you to take those same parts and identify assembly combinations that will meet tolerances. This can result in cost savings by avoiding unnecessary component re-work. Fuel prices are a critical expense in operating any turbine engine. And with the increasing focus on preserving the environment, engine technology, particular the aviation industry is chartered to achieve ever increasing levels of efficiency. By reducing the clearance between the rotor and stators of an assembly, EAS systems equipped with stack projection software help improve overall fuel efficiency. Optimizing engine alignment also reduces the negative effects of vibration including bearing wear, increasing “Time on Wing” resulting in higher engine utilization and lower maintenance costs. The benefits stack projection can deliver are significant. But they can only be achieved if the systems don’t require a PhD to operate. Our focus on simplifying usability and training has resulted in ABTech Engine Assembly Systems playing a key role in the launch of GE’s LEAP and GE9X engines.